Bun Mee Kiwi is a premium gourmet sandwich eatery and cafe in Henderson. 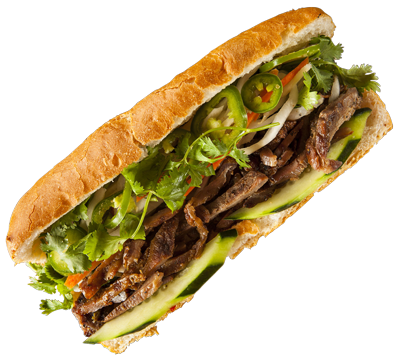 The BMK concept is based on the Vietnamese Bánh mì sandwiches (filled rolls), which has been adapted to the kiwi lifestyle utilizing nothing but the best of NZ produce. Our Bun Mee Kiwi menu boasts traditional Bánh mì Vietnamese pork baguettes with other Kiwi styled Bánh mì inspired sandwiches also mouthwatering healthy salads and other creative menu options that will indulge any food lovers appetite. Bun Mee Kiwi is designed for the kiwi palette with appetising offerings that are healthy, rich in flavour and also quick for those busy people out there. We offer different bread options starting with traditional french baguette, soft buns, bao (Chinese steamed white fluffy bread) or wraps with gluten free options. BMK is the freshest concept, from Vietnam streets to finding a home in New Zealand for all Kiwis to enjoy. "Life's too short for s#!t food!" This is definitely my new favourite! Super extensive menu, with plenty of healthy and slightly more decadent options. The food was fresh and delicious! Awesome atmosphere, great service and peeps and my Juicy Steak Bun Mee was delish. The soft bun, tender Steak and sauce on point. Will be my regular yeeeeah! We had a Kiwi B&E and crispy pork bun mee this morning, both fresh and very tasty, coffees were yummy too.Very nice stylee decor in and outside the staff were very friendly. You can follow Bun Mee Kiwi on our favourite social platforms. News, contests and special offers are announced on these platforms.